Grand Rapids Public Museum will transform into the local Maker Faire on Aug. 30 and 31, with exhibitors displaying their interactive creative projects. Opportunity to become an exhibitor lasts through this Sunday, Aug. 10. 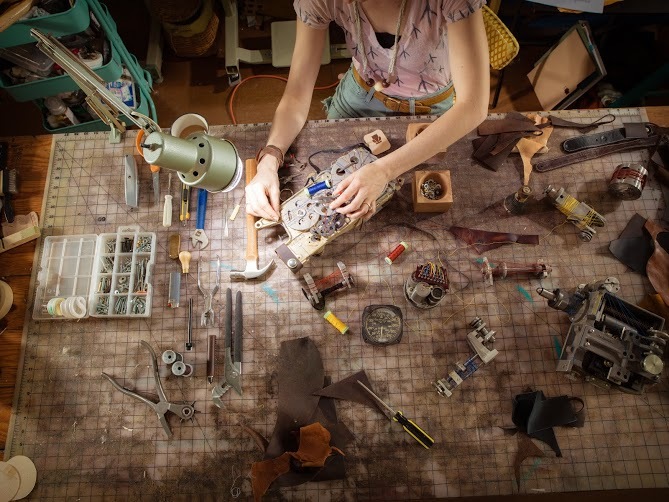 The first-ever Maker Faire in this part of the state is coming to Grand Rapids Labor Day weekend, and Grand Rapids Public Museum is hosting the interactive event geared to bolster the maker movement growing locally. Described as part science fair, part county fair, and something entirely new, Maker Faire brings together inventors, innovators, tinkerers and more, to show off and demonstrate their creative exhibitions. In the Catalyst Radio studio from Grand Rapids Public Museum is Kate Moore, vice president of marketing and public relations, to describe the interactive Maker Faire and how the event – a partnership with GR Makers, The Geek Group and Grand Rapids Community College – focuses on learning, creativity and collaboration. Local music featured in this episode of Catalyst Radio is from Dante Cope, with the title song from the recent release called Jasmin And The Digital Wasteland.